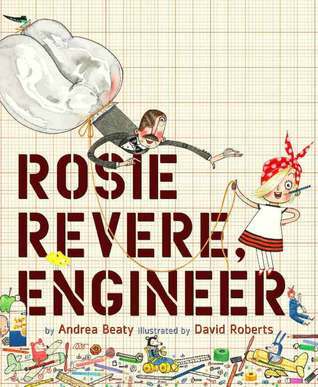 Oh boy, can I related to Rosie Revere, Engineer. I really want to do things well the first time I try them, and when things go wrong, I can struggle to try again. Ask me about the second time I surfed...you can't because I haven't done it! Rosie wants to be an engineer, but when her uncle laughs at her invention, she gives up. It takes some encouragement from her great-great-aunt (Rosie the Riveter) to get her back in action. Great message about perseverance that I should listen to. Now I want to check out the author's other book, Iggy Peck, Architect. 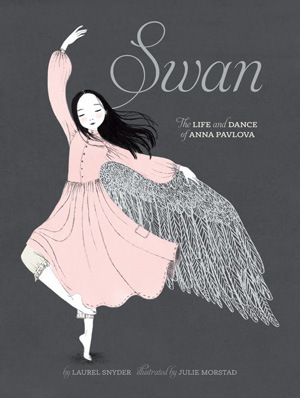 Swan: The Life and Dance of Anna Pavlova has huge buzz, so I was eager to check it out. I knew almost nothing about the life of the world's most famous ballerina, who grew up poor and was dedicated to sharing dance with the world. Better than the story are the illustrations by Julie Morstad. They are in muted colors and feature so much beautiful snow. I know that young ballerinas will spend ages poring over the different costumes and deciding which they like best. Although it's a picture book, it feels elegant and mature and is worth including in a middle grade class library.